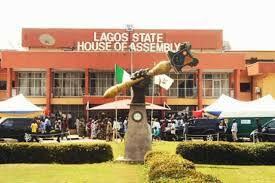 Lagos assembly to reduce ex-governor’s pension – Royal Times of Nigeria. The Lagos State House of Assembly has said it is planning on reducing the pension of former governors in the state. Speaker, Mudashiru Obasa disclosed this at a parley with civil society organisations where he stated that the decision will help save taxpayers money. He said: “This House is amending the Public Office Holder (Payment of Pension) Law. The amendment is titled, Public Office Holders (Payment of Pensions) Amendment Bill, 2016. The bill has been read first time and awaiting second reading. The intendment of this bill is to save taxpayers’ money while addressing the cost implication of some parts of the law. “For instance, the law allows a former governor and the deputy to have a house each in Lagos and Abuja, while both governor and the deputy are also entitled to six and five vehicles respectively. “But with the amendment, both the governor and the deputy will be limited to a house in Lagos where they served, as well as have three and two vehicles respectively. Obasa, said the parley was aimed at presenting the Assembly’s scorecard in the last one year to Lagosians. He added: “For the purpose of record, this House passed eight bills into laws in the second session, while 72 resolutions were made. Other bills are at various stages of passage, one of which is the bill targeted at tackling cancer. “The resolutions and laws are those that border on the welfare of the people living in Lagos.